Cute little discs of colors. Simple but with a big message! 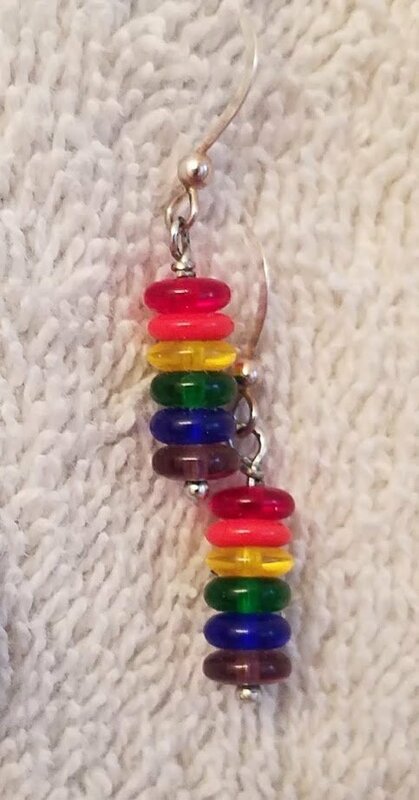 Drop measures about 1 inch from sterling silver earhooks.